Air mattresses and bug spray? Puh-lease! With luxury tents, app-based scouting services and elaborate treehouses, hospitality companies in the region have caught on to an international trend. 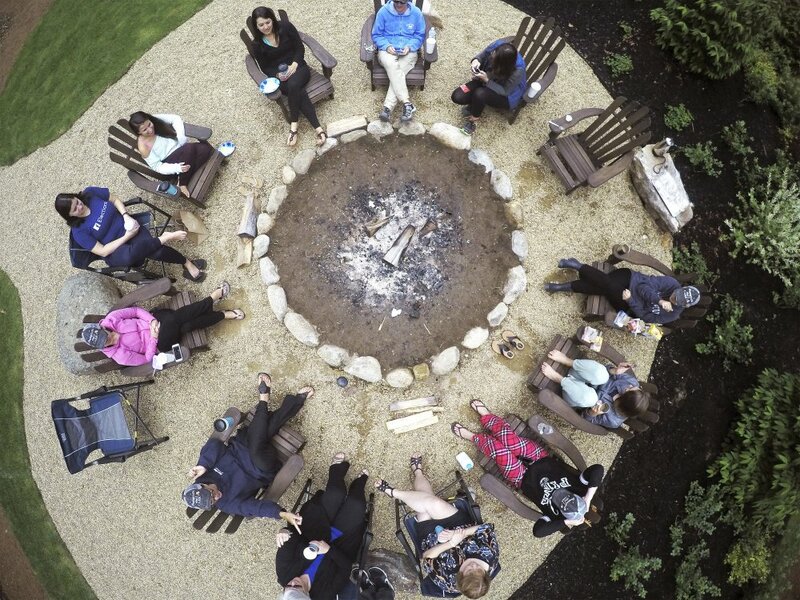 When Stephanie Corradina planned a bachelorette party for her sister Emily, she knew it would be in Maine and involve the outdoors. Emily, 29, comes to Maine from the Boston area in all seasons, and loves to hike in Acadia, ski at Sunday River and paddle the Saco River. But as much as her sister loves the outdoors, she also has a glamorous side, and Corradina wanted the party to be special. The solution? 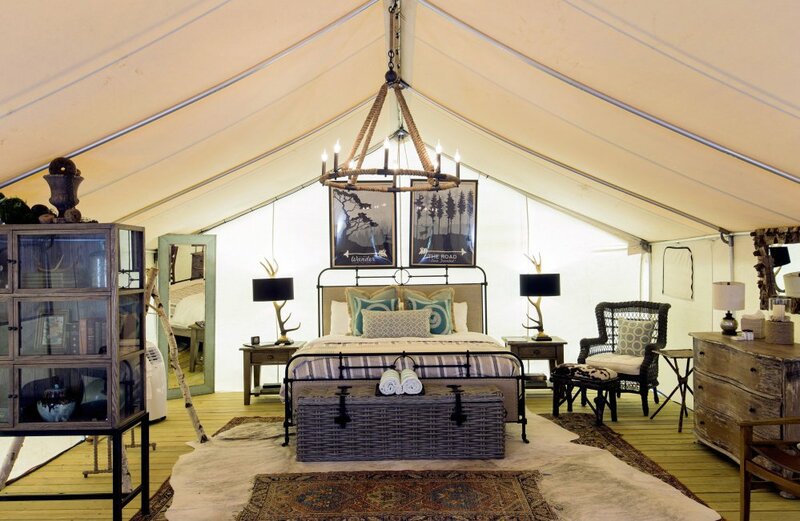 A high-end tent camp in Kennebunkport, complete with the creature comforts of a hotel, but with a big fire pit, forest paths and bug netting. “When we tried to think of what would be perfect for her, this was it,” said Corradina, 33, relaxing in Adirondack chairs near the tents on a balmy summer weekend. It was an arrangement everyone, even the camping-averse, could get down with. 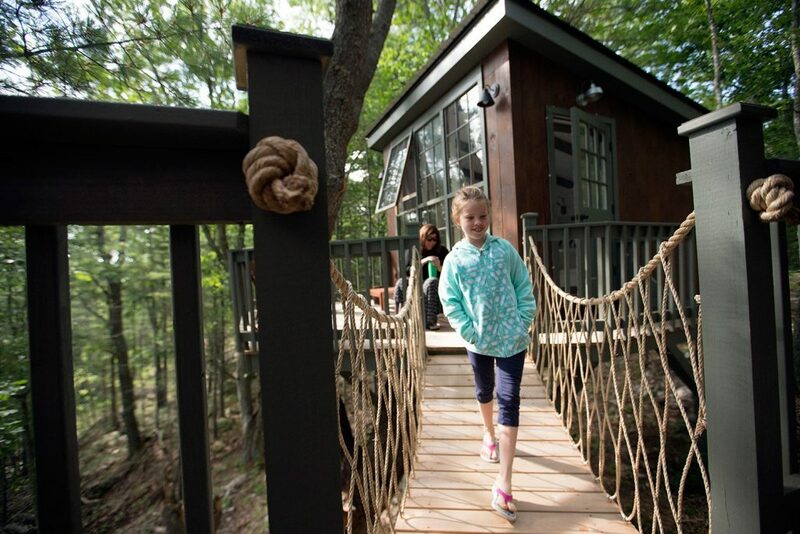 A slew of new ventures, from luxury tenting resorts to secluded campsites set up on private land, are opening in Maine, filling demand for high-end outdoor accommodations and growing the glamorous camping or “glamping” trend that has been slow to catch on in the state. Camping is a quintessential Maine activity, but there are plenty of potential customers who don’t have the experience or equipment to do it themselves, or want to spend a weekend in the woods without sacrificing the comfort and convenience of a hotel. 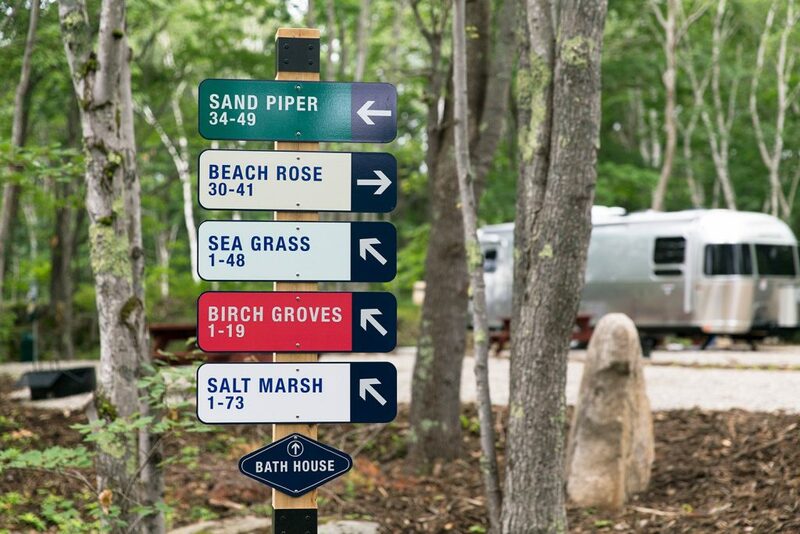 “Camping has a lot of emotional attraction, but a lot of people don’t want to do the bug, dirt, tent thing,” said Debbie Lennon, a veteran resort owner and manager who opened Sandy Pines Campground in Kennebunkport with business partner Tim Harrington this summer. 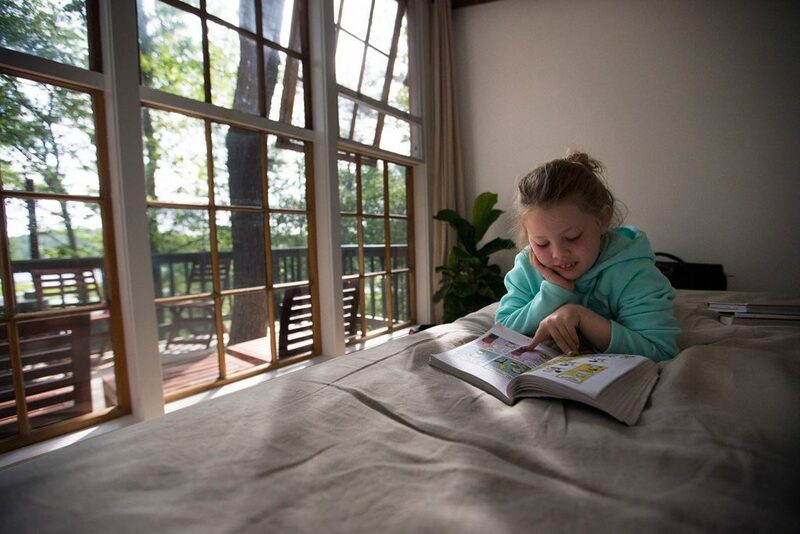 The campground has RV and tent sites and mini-homes for sale, but also 12 “glamping” safari tents, complete with king-sized bed, mini-fridge and designer furniture decorated by top New England interior designers. The camp store carries gourmet coffee, handmade soy candles and Prosecco. 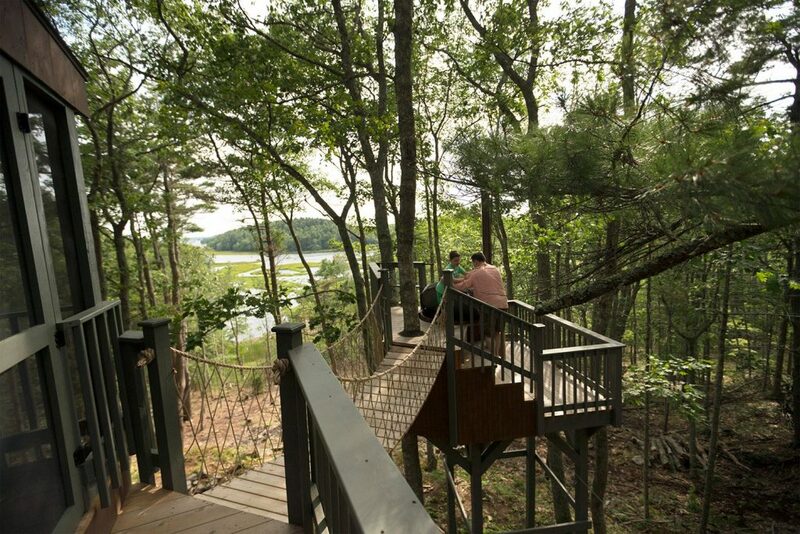 A two-night stay costs $388-$628, at the higher price range in Maine’s burgeoning glamping scene. Customers increasingly want authentic experiences they don’t find in traditional resorts, Lennon said. New camping entrepreneurs are hoping to capitalize on the growing popularity of camping. A report from industry group Kampgrounds of America in May estimated that 48 percent of North American campers plan to camp more in 2017 than in 2016 – an increase that is fueled by millennials. Among the 37 million U.S. households that went camping in 2016, 38 percent were millennial households. And of that group, 51 percent said they intend to increase the frequency of their camping trips. 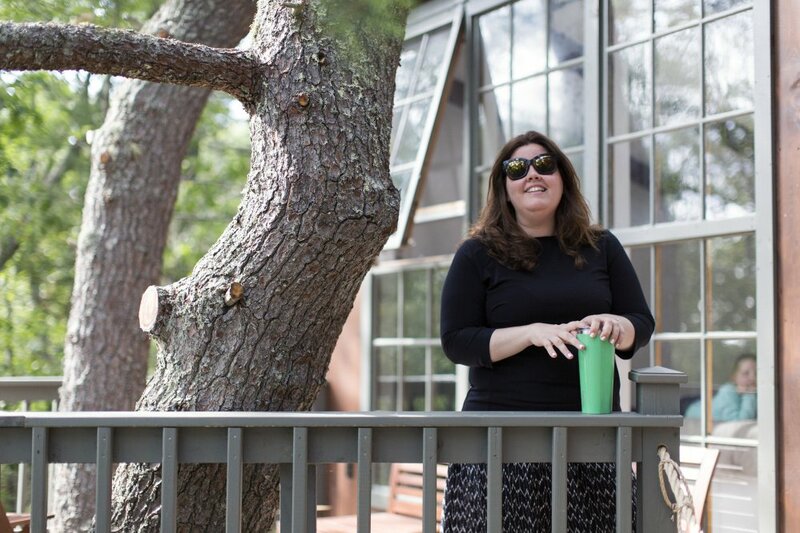 “I think people are looking for a vacation experience where they can immerse themselves in a really authentic retreat,” said Elissa English-O’Brien, owner of Mainely Glamping. 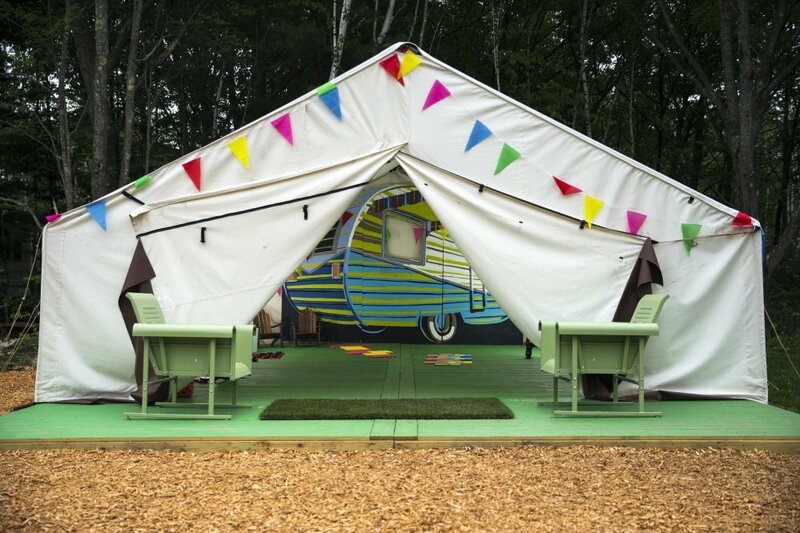 The company selects a campsite based on the customer’s destination wish list and sets up a safari tent or vintage sleeper trailer for guests before they show up. Many of her customers have busy jobs and home lives and just want time to unplug, English-O’Brien said. “People want to feel as though when they are on vacation they are actually getting some downtime,” she said. 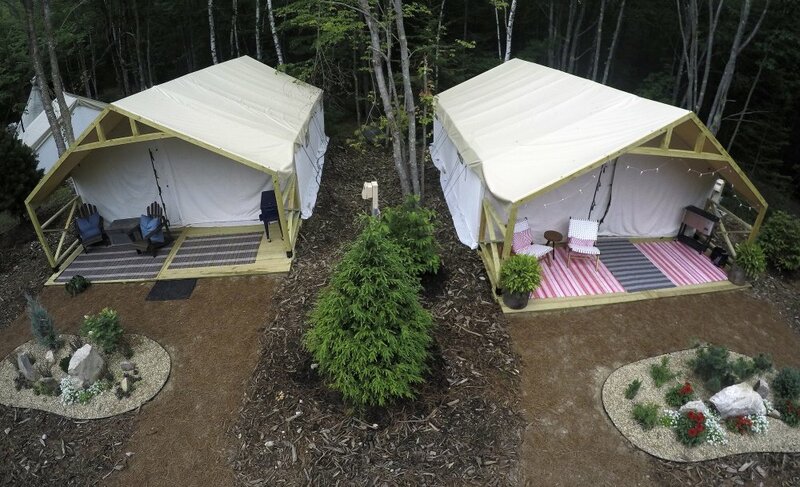 Maine has been slow to meet the upscale camping trend, which has thrived in the U.K., Europe and on the West Coast. The range of options is growing quickly, however, from yurt compounds to a treehouse retreat in Georgetown. Under Canvas, a Montana company that owns glamping resorts in California and elsewhere in the West, advertises a five-day adventure on Sheephead Island near Deer Isle, complete with luxury tents and a private chef starting at $20,000 for a group of eight. A 21-site camping resort has also been proposed on House Island in Casco Bay with views of Portland. 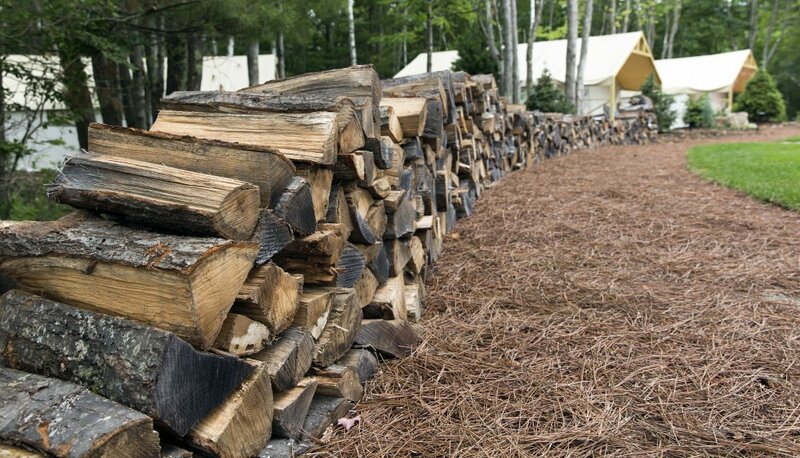 The farm has 10 platform tents and A-frame cabins, a waterfront yurt lounge and outdoor summer kitchen. Rates start at $125 a night. Pike said they have had success booking couples, families and business retreats. The farm works with local businesses and experts like a forager and astronomer to arrange activities for guests. 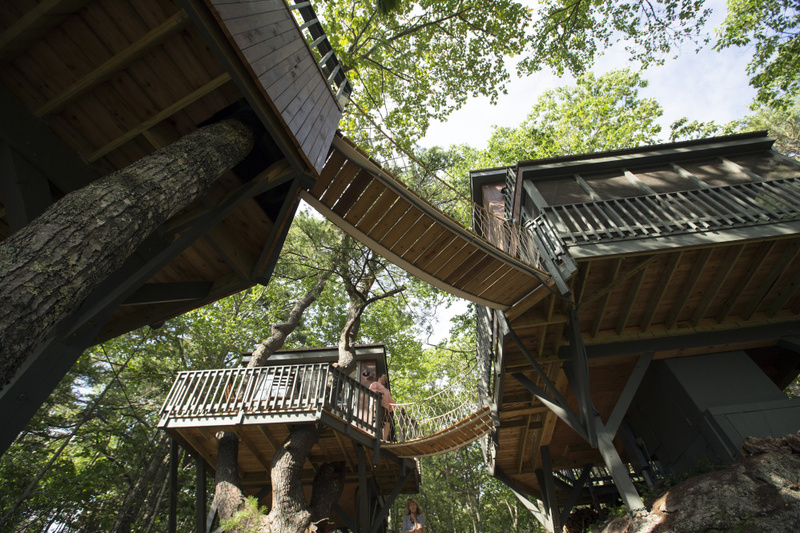 In Georgetown, Philip Francis and Marsha Dunn are getting through their second season running Seguin Tree Dwellings, three small treehouses built into tall pines overlooking the Back River. The little houses include elevated walkways and kitchens; the newest and largest has a wood-fired hot tub with river views. 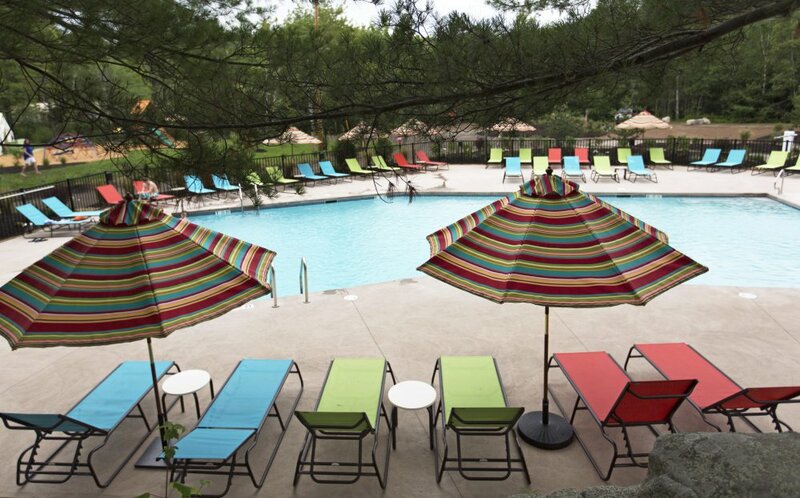 The houses go for $189-$289 a night, with a three-night minimum stay. Francis and his brother grew up nearby and dreamed up the retreat after climbing trees on the property and noticing the view. The concept was thought up by Dunn and Francis and his brother and sister-in-law. All the houses are designed with minimal decoration, to highlight the natural scenery. Guests mostly come from the Northeast and many choose Seguin as a place to stay for special occasions, like birthdays or anniversaries. Business has been strong in the first year and treehouses are booked through part of next summer, Francis added. Jim and Melissa McLaughlin, from Dover, Massachusetts, wound up at Seguin with their 7-year-old twins after Melissa searched “glamping in Maine” online. 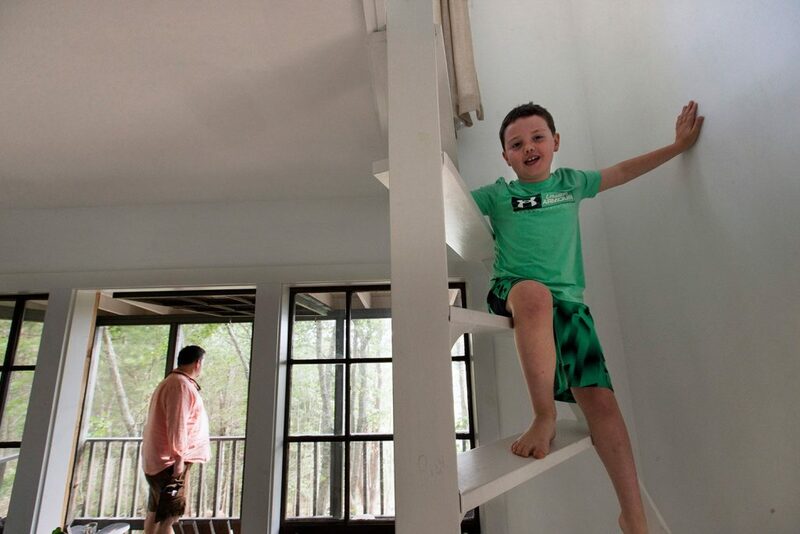 Their kids had a great time running and playing around the treehouse, and the rooms were an easy way to get Melissa outside for a few nights, Jim McLaughlin said. When he was younger, McLaughlin, 49, used to camp and fish at nearby Popham Beach and fondly remembers tenting at a cheap campground, but these days, he appreciates a little more comfort. “I don’t have as much interest in camping as I used to; now it’s nice to have a firm king-sized bed,” he said. The term “glamping” grates on Michael D’Agostino, founder and CEO of Tentrr, an internet startup that has been compared to Uber and Airbnb. Through Tentrr, private landowners rent out parcels of scenic land for campers, who book sites online or through the Tentrr smartphone app and stay in tents and use equipment provided by Tentrr. The company started in upstate New York last year and opened its first two sites in Maine in July. It hopes to have 30-50 sites in Maine by the end of the year. Guests pick a site, show up, and almost everything they need is ready for them, including a safari tent, picnic table, fire pit, toilet and other camping gear. “It feels accessible to people who have never been camping before, or haven’t been in a long time and don’t have the equipment,” D’Agostino said. Tentrr scouts potential venues looking for water access, open space and scenery. “We are curating these sites, not plopping down a tent on a cornfield,” he said. Property owners pay an upfront fee of $1,250 to $1,500 and set their own rate, about $125 per night on average. 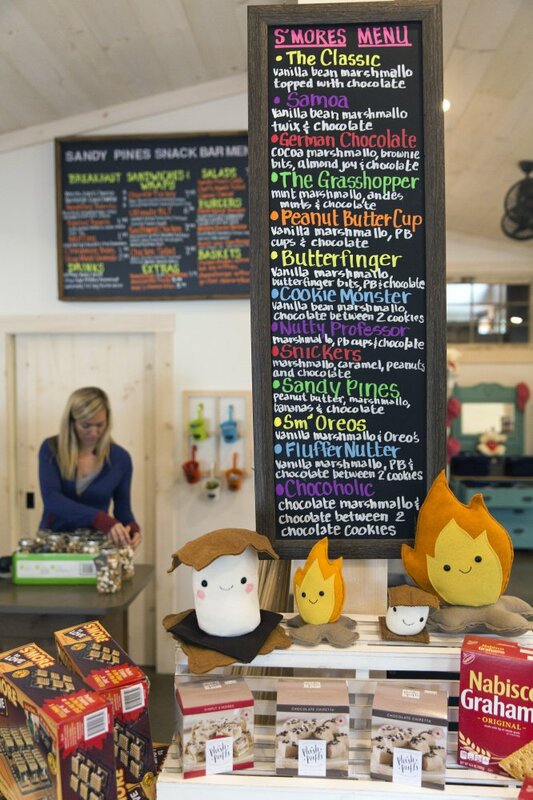 Owners keep 80 percent of the revenue and can sell extras, like gourmet camp food, guided hikes or mountain bike rentals. Debbie and Peter Jordan are hosting one of Maine’s first Tentrr sites on their 20-acre home in Harrison. The tent sits on a field leading down to a sand beach on the Crooked River, a place the Jordans’ children used to camp. “My feeling is it will be a hands-off process, let them enjoy the spot; we are nearby if something goes on,” Peter Jordan said.